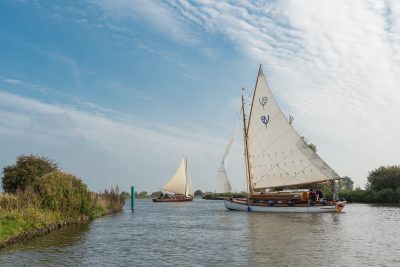 While predominantly an area of freshwater, the Broads National Park extends to the coast at Horsey, providing an opportunity for an undemanding walk around this intriguing area, viewing the only community of seals living in the Norfolk Broads! 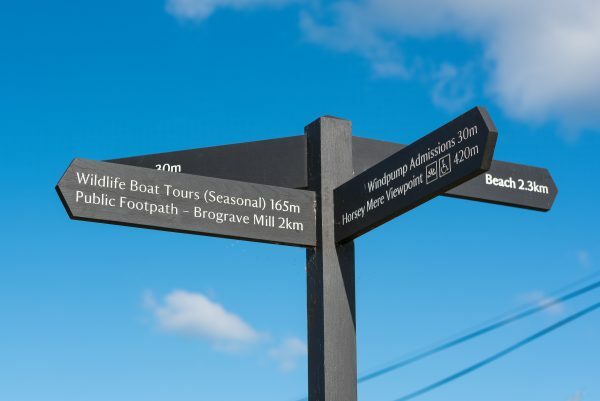 Our suggestions will take you to Horsey, the site of several extensive flooding episodes in the twentieth century, for a circular walk of approximately 8 miles around the varied landscape of the area; the opportunity to view the large community of seals living along this part of the coast; a climb up Horsey Mill providing striking views over Horsey Mere; lunch at a traditional Norfolk pub; followed by an afternoon visit to Waxham Barn, a restored barn now housing a museum of local life. We’ve given a basic route below but a good map is useful, ideally the Ordnance Survey Explorer OL40. 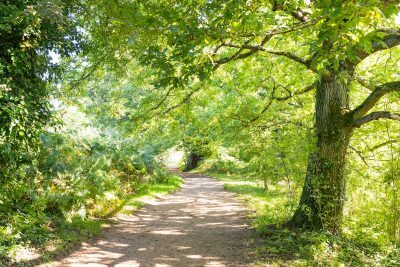 Walking boots are recommended, particularly when the ground is wet under foot as parts of the route can be muddy. This can make the walk unsuitable for buggies/very young children. 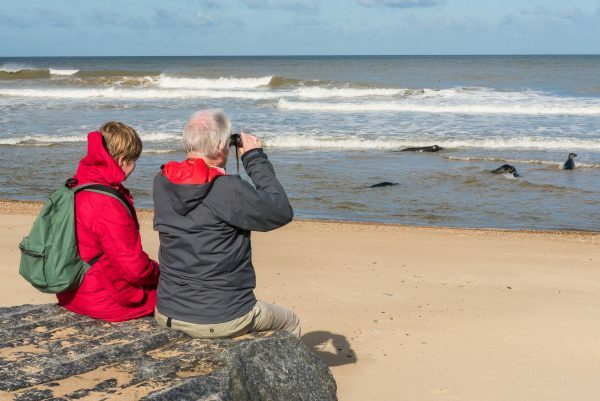 If you take your dog, please keep him/her on a lead as you approach the seals on the beach and try not to get too close as the seals are easily disturbed. 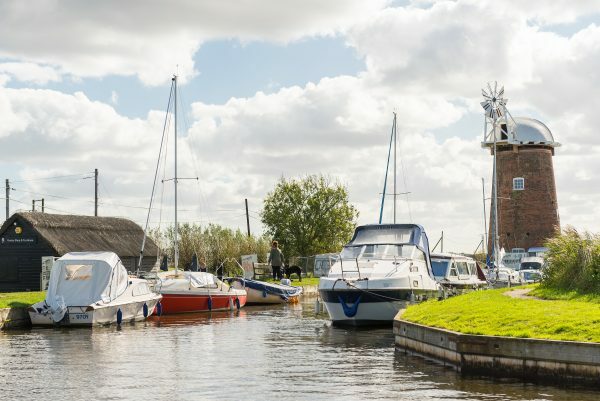 The windpump and tearoom are open from March to October, although times vary throughout the season. 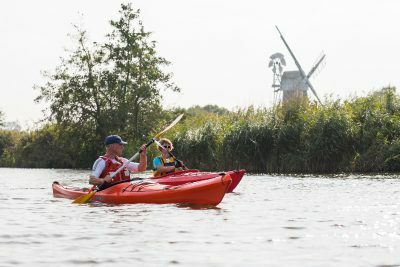 There is a small charge for entry to the windpump. 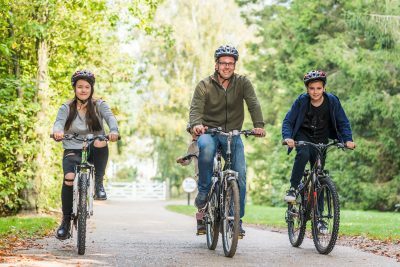 For more information see the National Trust website. For a low cost option why not take a picnic? 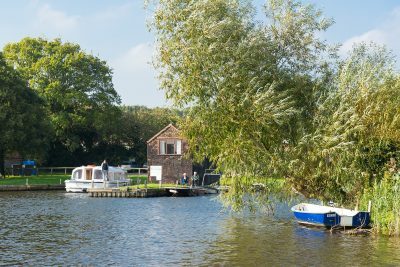 Walk around the end of the staithe at Horsey, by the Mill, and follow the path along the dyke towards the Mere where there are bench seats and great views across the Mere as you munch your lunch! Traditional country pub with a warm welcome and large open fire when it’s cold, huge beer garden for when it’s warm. 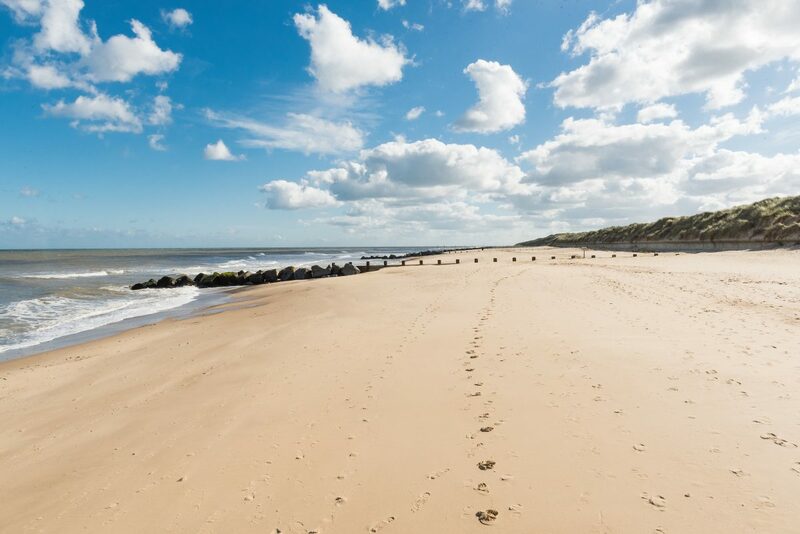 The walk can feel quite long for younger children, so to shorten the trip, try just walking down to the beach and along to spot some seals. 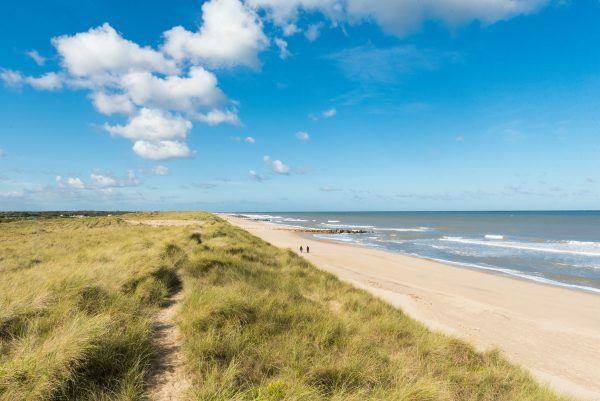 You could take a picnic along and eat your lunch in the dunes overlooking the seals, before returning to Horsey to explore the windpump. Half of the world's population of the grey seal is found on or around the British coast and it has doubled in number since 1960. They mainly feed on fish, but will also take squid, octopus and crustaceans. 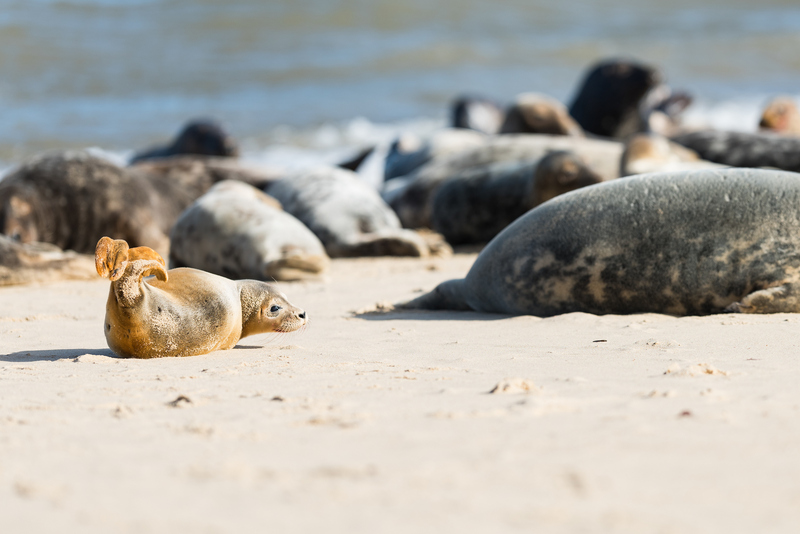 Grey seals come ashore to breed and can be found around the coastline between Waxham and Winterton-on-Sea.